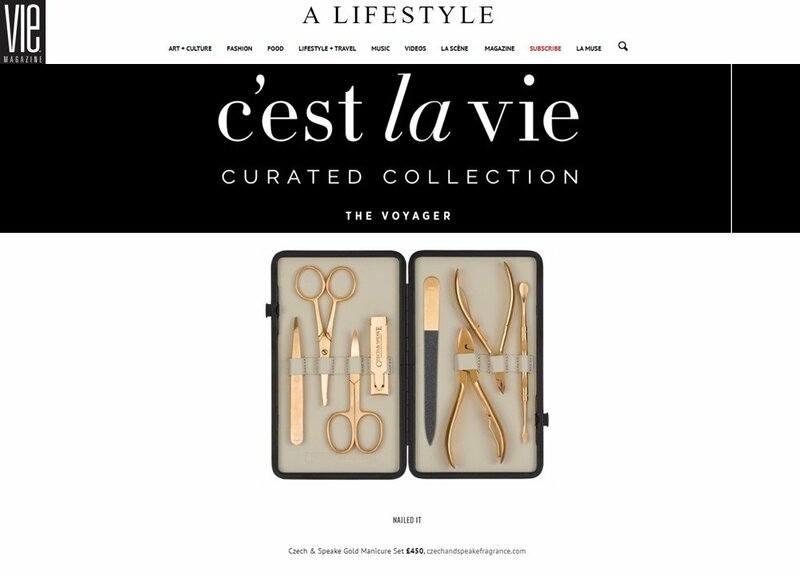 We edit the best luxury travel accessories guaranteed to inject a little fun and glamour into the term frequent flyer. 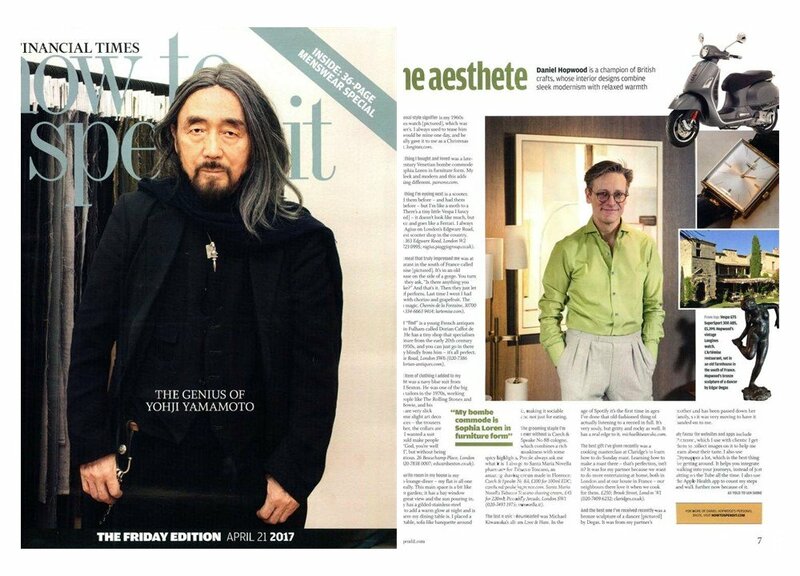 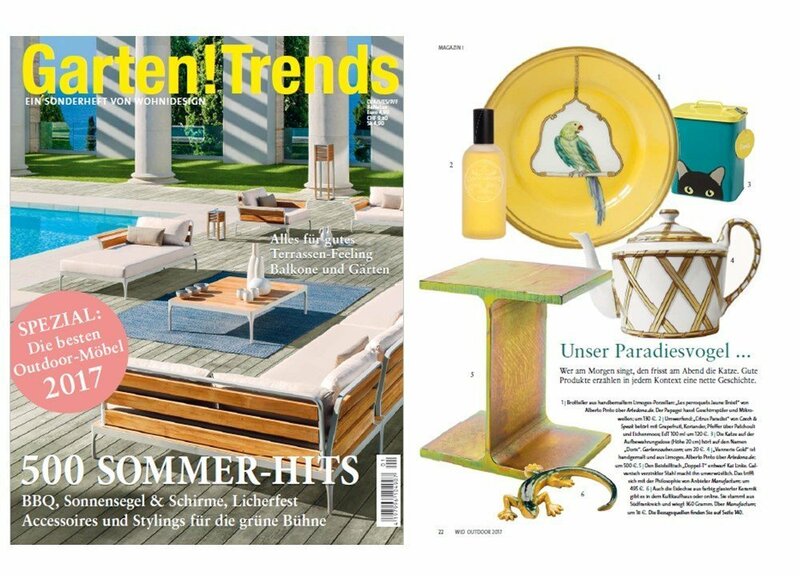 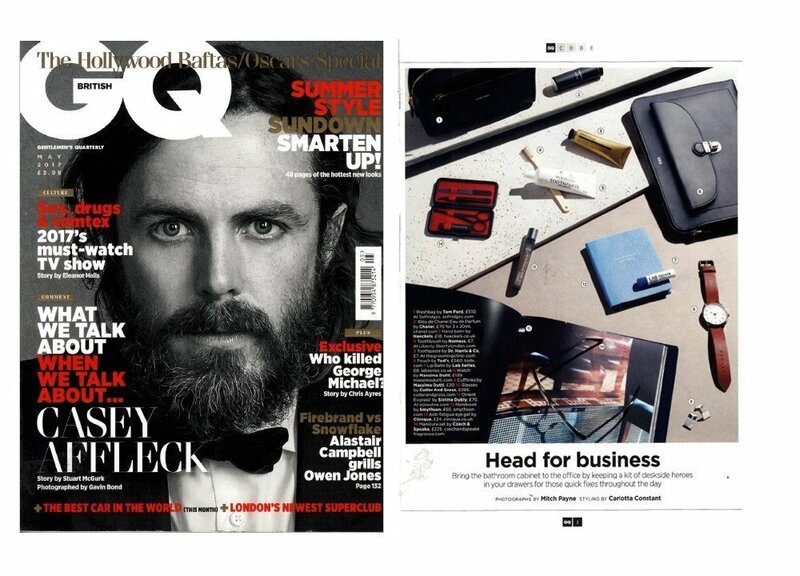 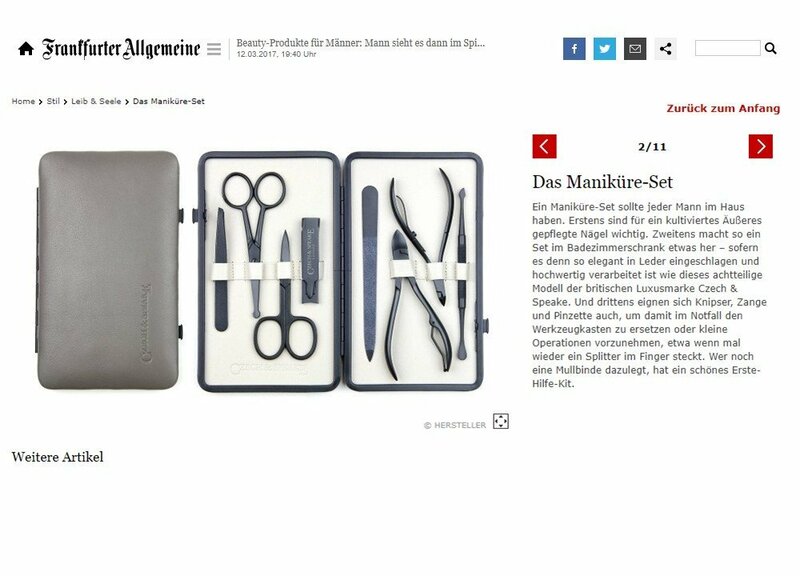 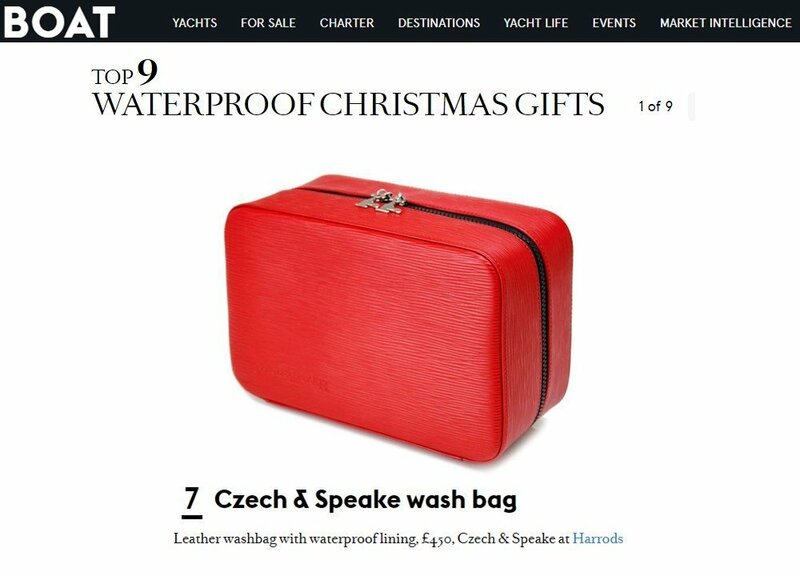 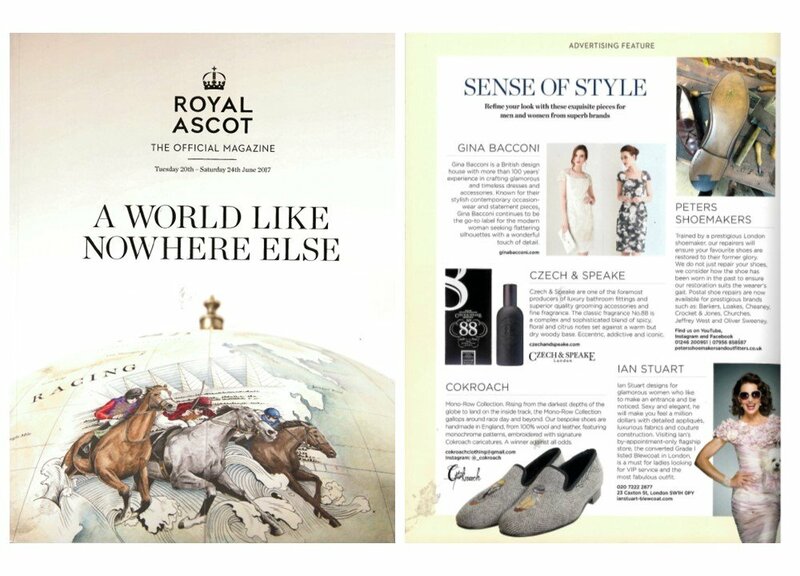 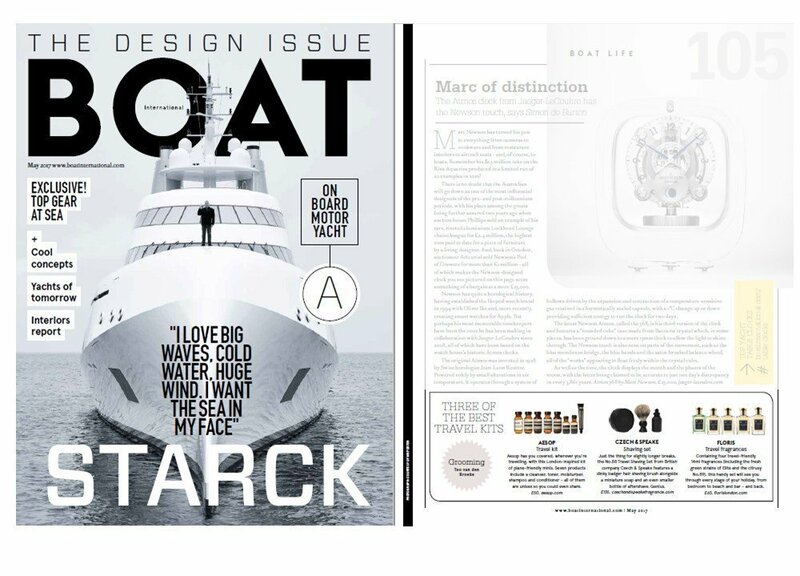 The magazine for ultimate travel and luxury experiences recommends Czech & Speake 8 piece Manicure Set. 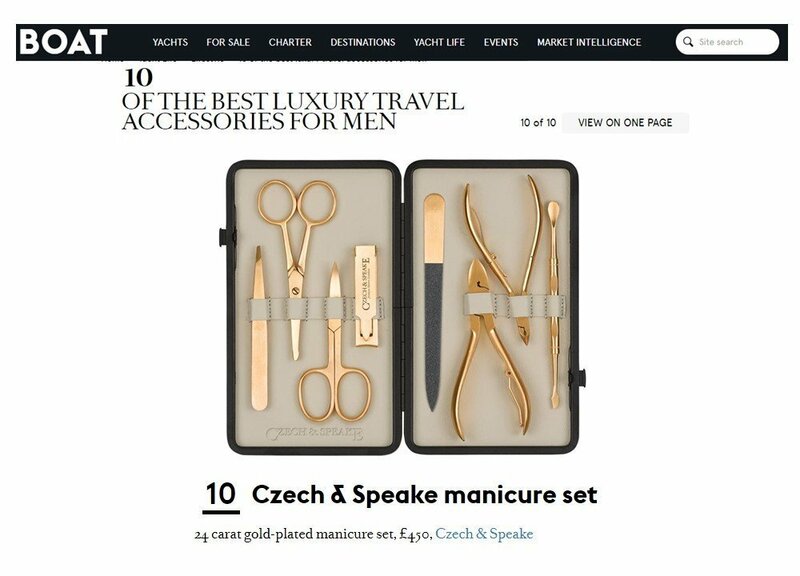 The leather bound 24k gold plated manicure set will look gorgeous in your cabinet and will serve as an indispensable travel essential. 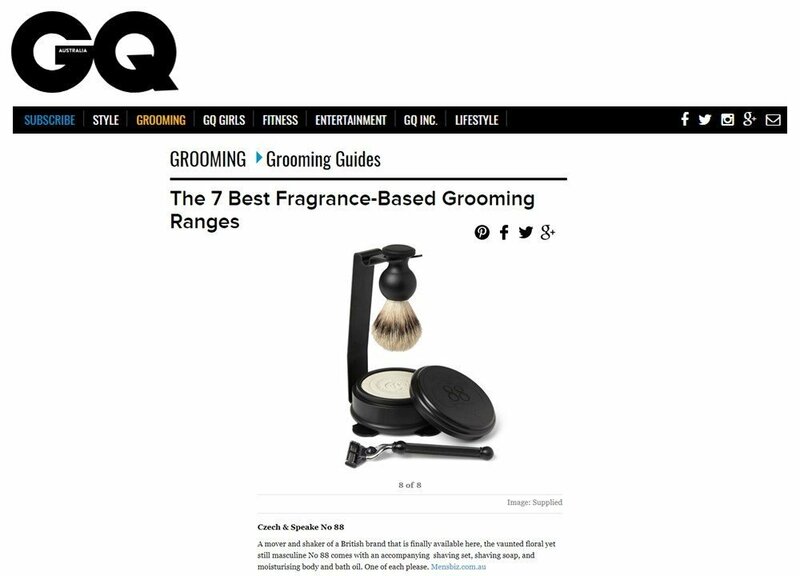 See the other 9 object here. 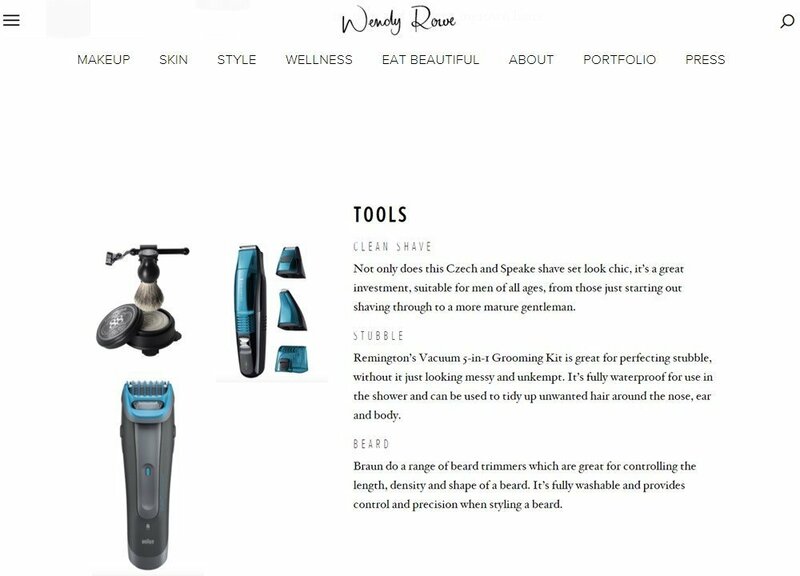 Shave in Style! 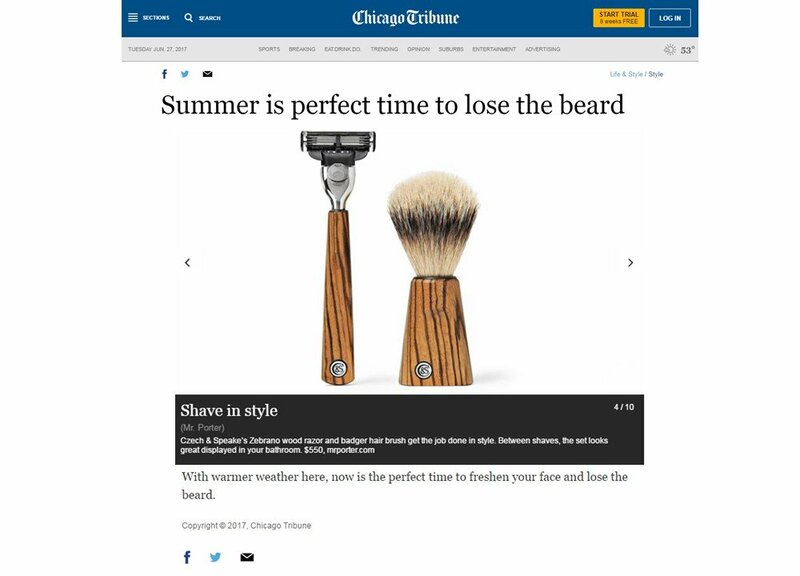 Chris LaMorte advises from the Chicago Tribune all his bearded brethren. 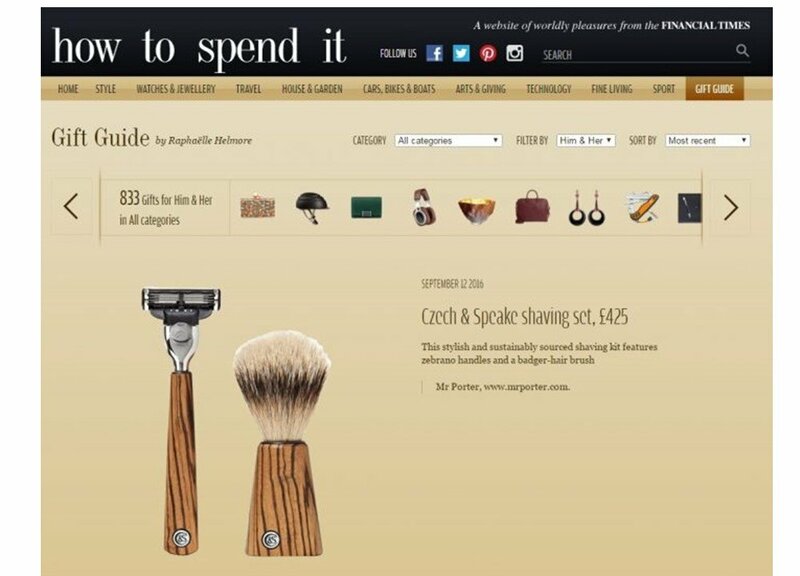 Czech & Speake’s Zebrano wood razor and badger hair brush get the job done in style. 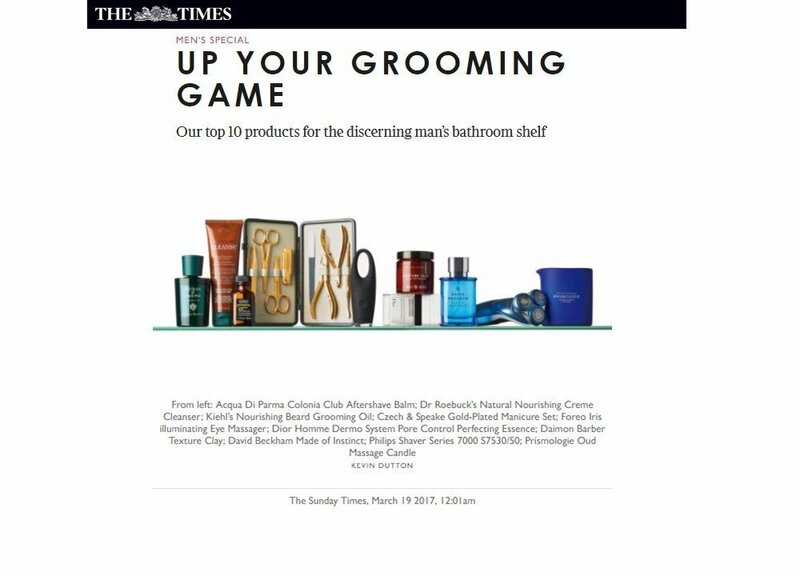 Between shaves, the set looks great displayed in your bathroom. 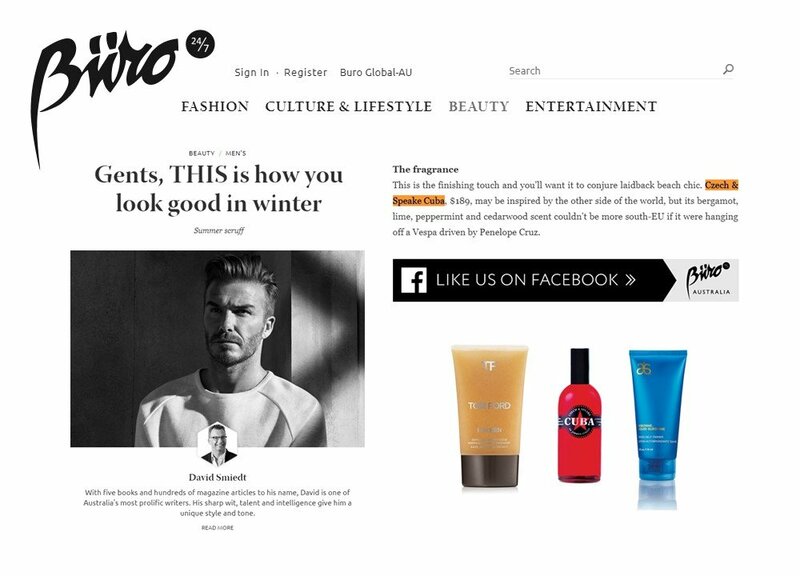 His opinion on the freshness of a spring shave can be read here. 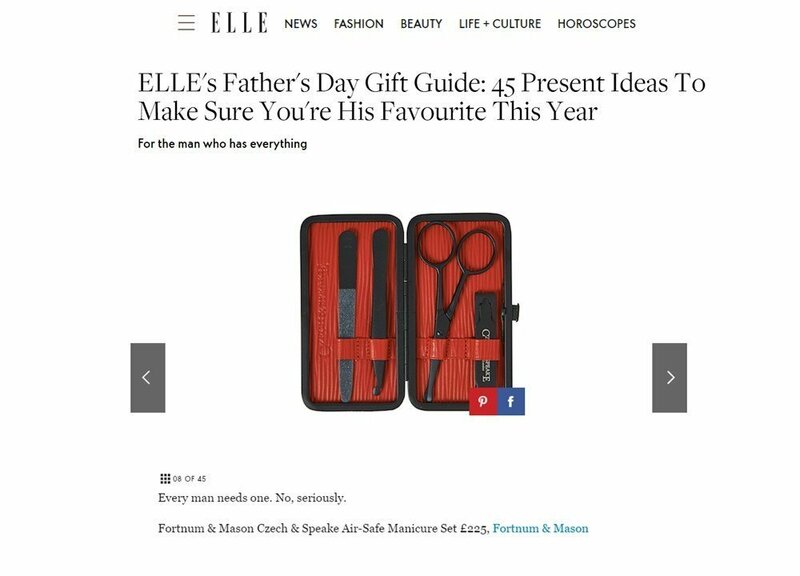 ELLE UK put together an extended list of 59 different luxury presents for the man that has it all. 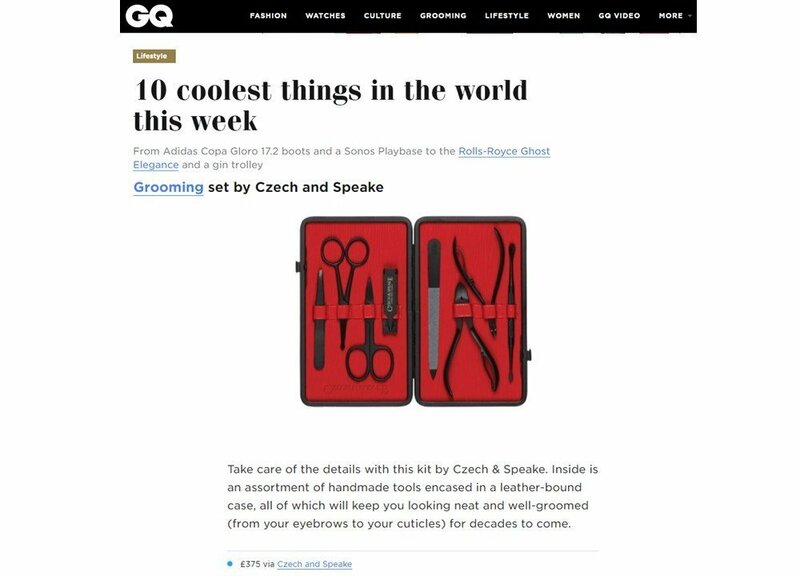 The Czech & Speake AirSafe manicure set leather bound in English Long Grain leather, in their words: “Every man needs one. 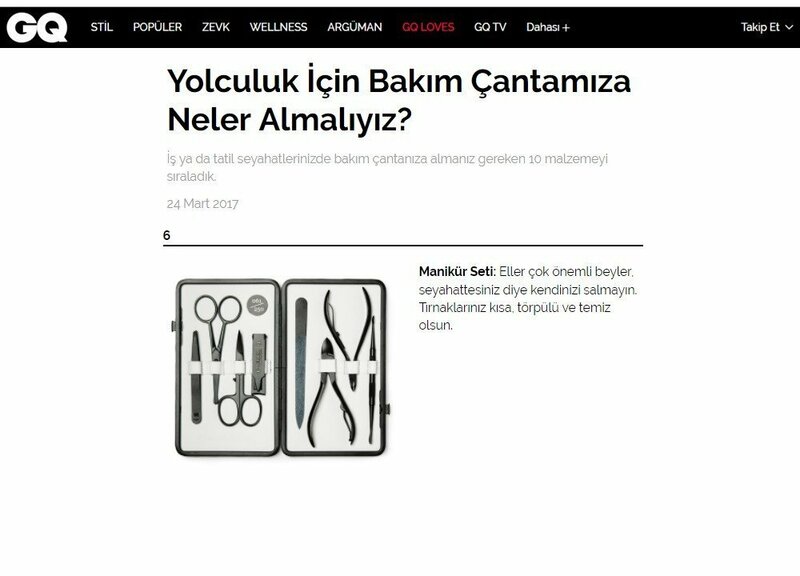 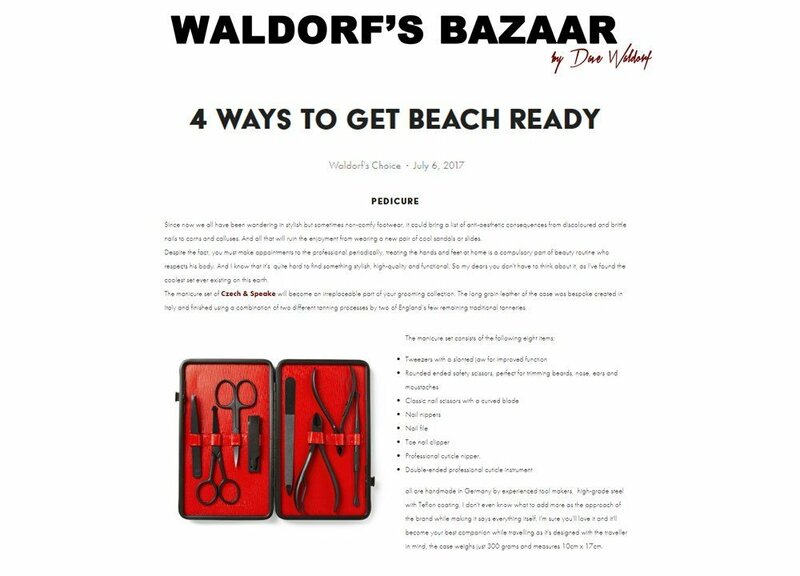 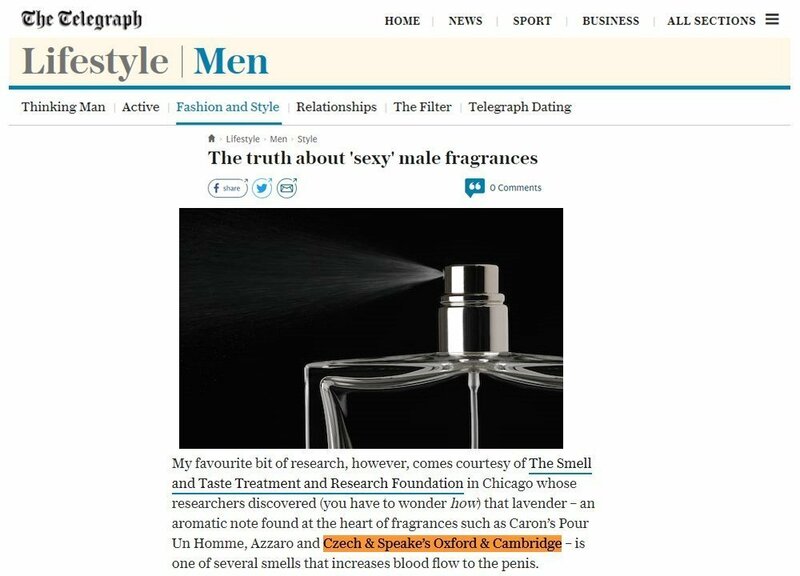 No, seriously.” You can read the rest of the article here or go directly to check out the manicure set here. 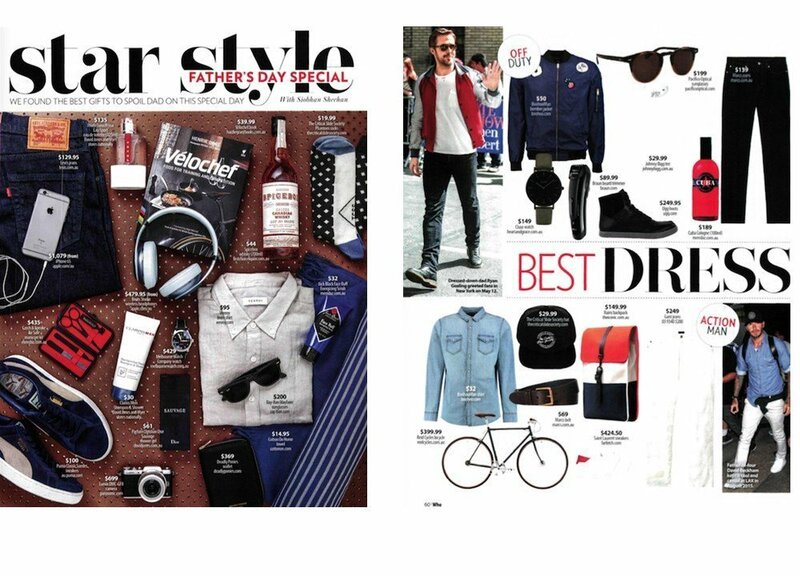 Ryan Gosling, prince of Off-Duty Style, would seemingly pair black jeans, a bomber jacket and shades and would smell like Czech & Speake Cuba. 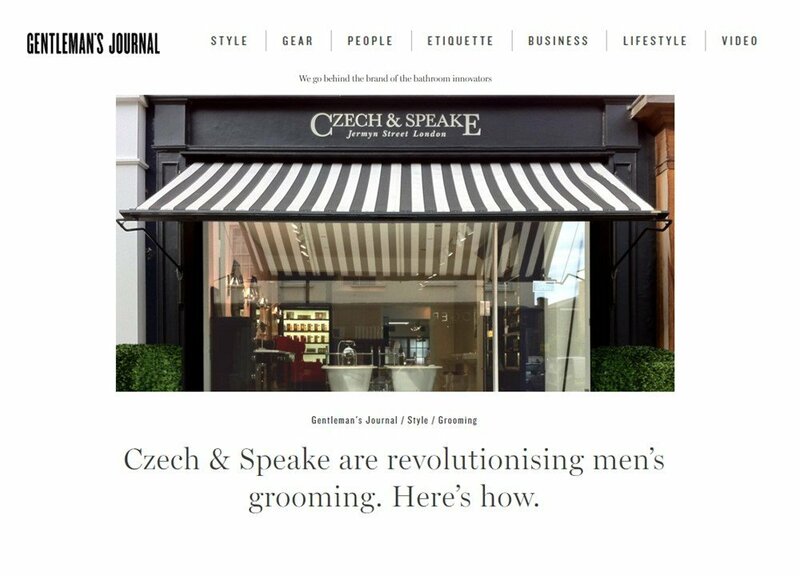 Scoring two in a row, Czech & Speake are also featured on the Father’s Day Special in the Star Style spread. 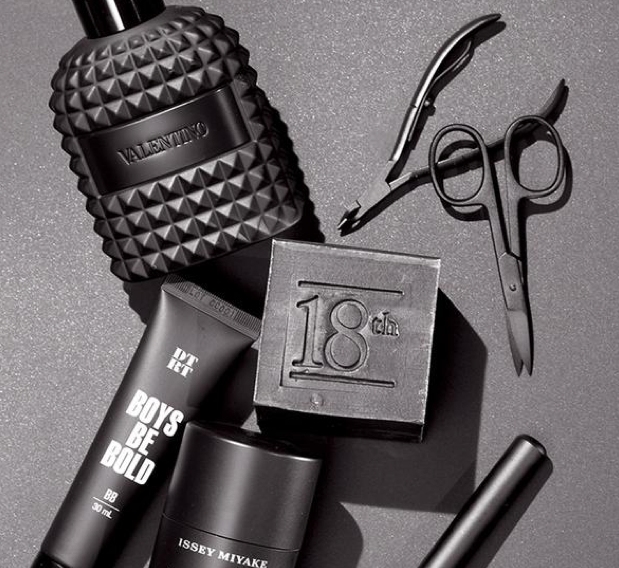 A mover and shaker of a British brand that is finally available here, the vaunted floral yet still masculine No 88 comes with an accompanying shaving set, shaving soap, and moisturising body and bath oil. 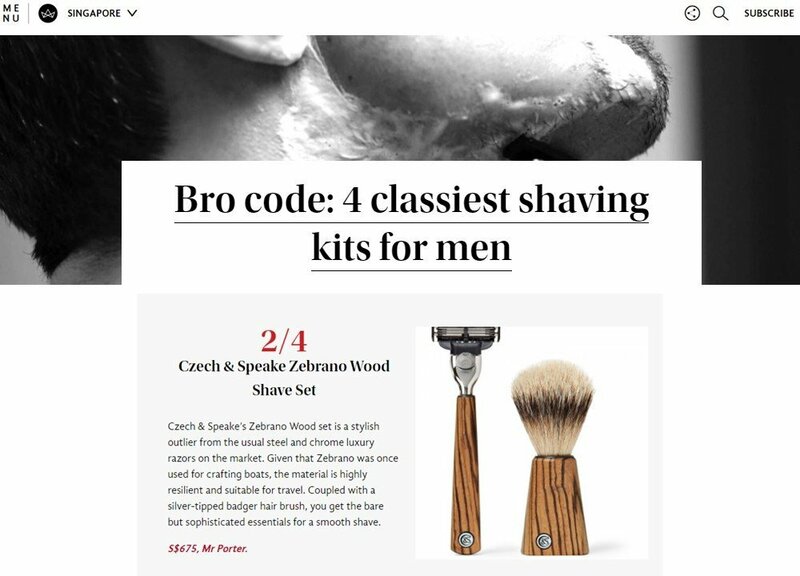 One of each please. 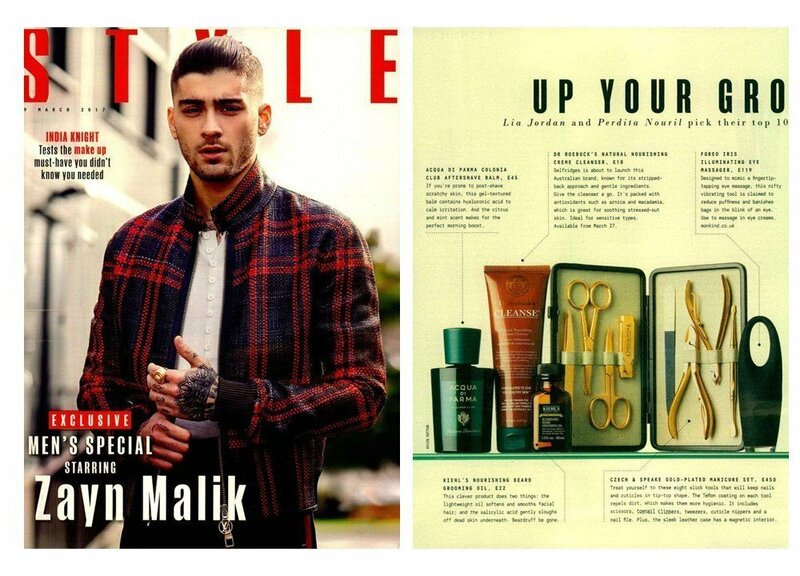 More styles here. 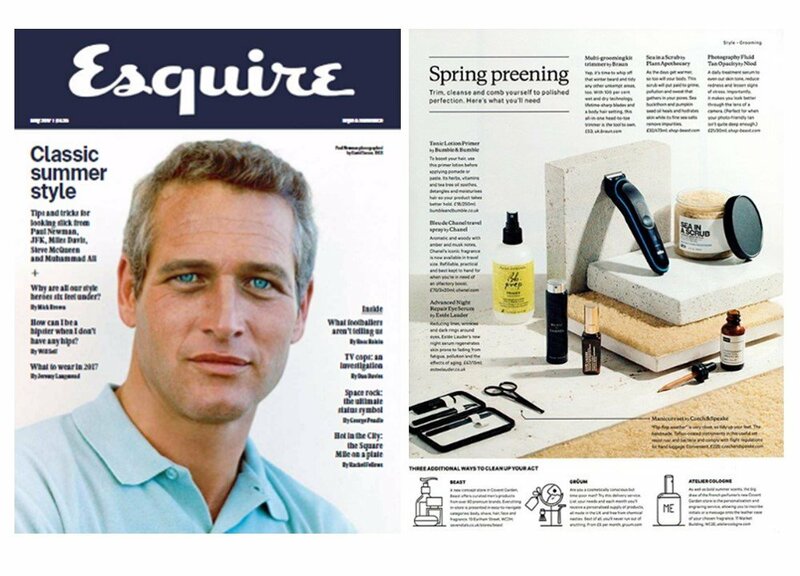 David Smiedt teaches us how to get the summer scruff. 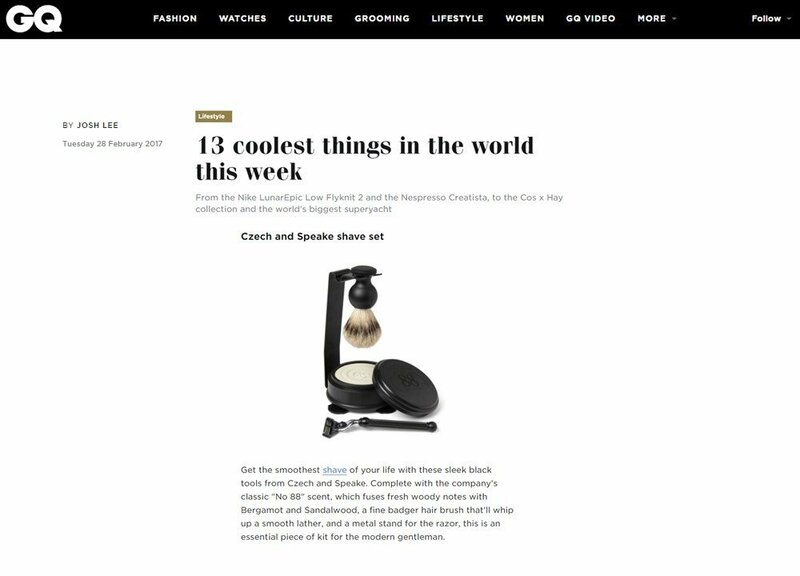 Starting with putting your glow on to the finishing touches: the Czech & Speake Cuba may be inspired by the other side of the world, but its bergamot, lime, peppermint and cedarwood scent couldn’t be more south-EU if it were hanging off a Vespa driven by Penelope Cruz. 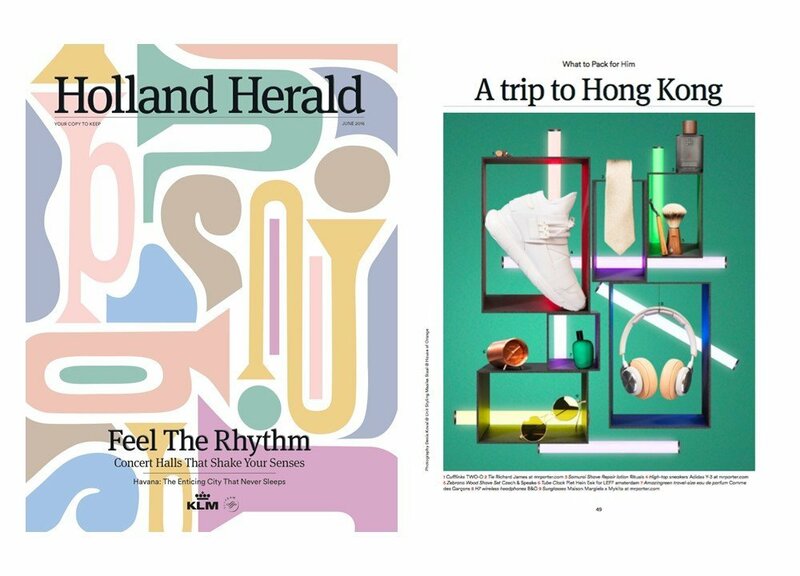 The Holland herald suggests a trip to Hong Kong. 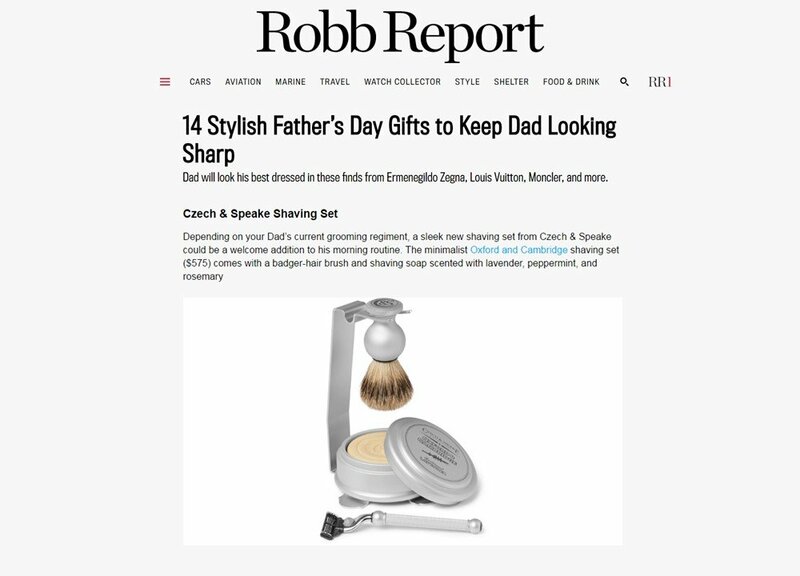 Don’t forget to accessorize with the travel friendly Zebrano shaving set to keep your facial hair on fleek. 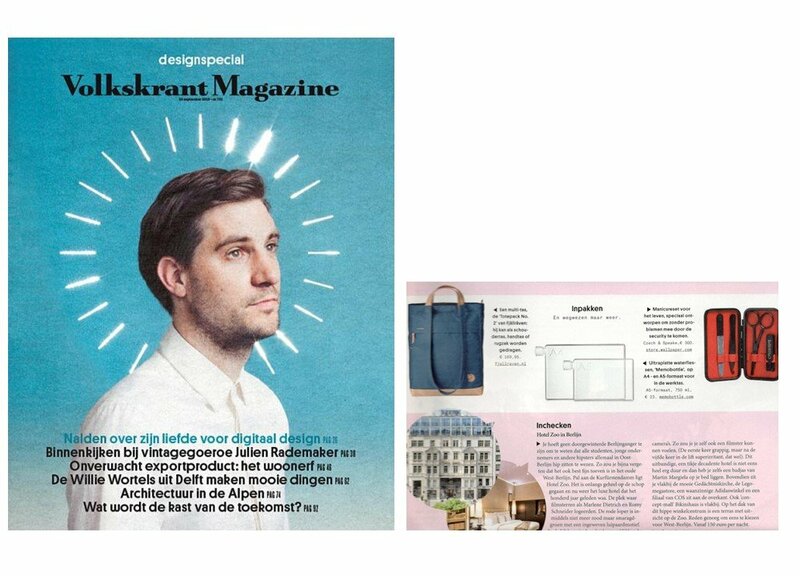 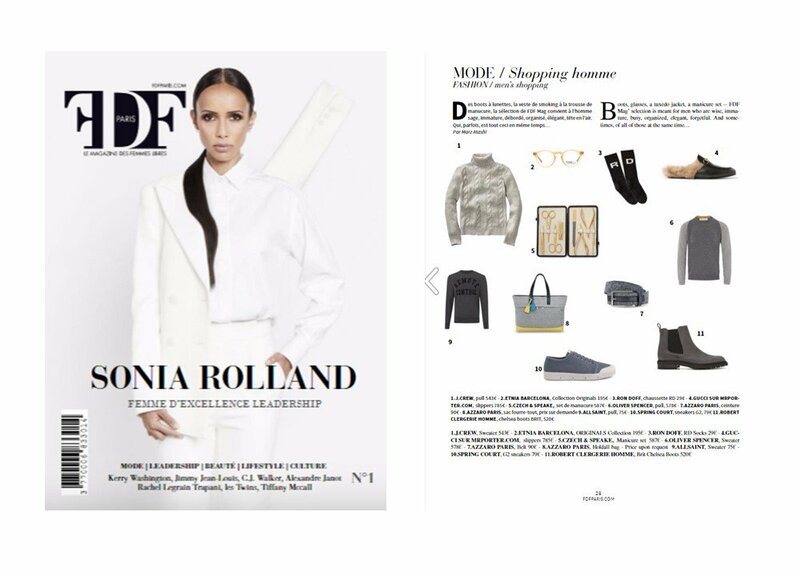 Netherlands based magazine Volkskrant’s must pack guide for the summer.